The children worked long and hard on their own little cardboard shack. It was to be a special spot–a clubhouse where they could meet together and have fun. As they thought about their rules, they came up with three rather good ones . . .
Not bad theology! In different words, God says the same thing . . .
Just act medium. No matter who you are, what you look like, your position in life, your popularity, your income, who you know, your grades, athletic ability, spirituality . . . just act medium. It sounds so easy, but in reality, it’s hard to do. Why? . . . because all of us battle with pride. What is pride? Pride is called conceit, arrogance (an inflated opinion of oneself, one’s importance, or one’s power) an exaggeration of one’s own worth or ability. Pride fosters the idea that I am self-sufficient, I need no one, I need nothing. Pride works at making us vain, independent, taking credit, seeking glory, attracting attention, and wanting praise, approval or compliments from others. And just as power corrupts and absolute power corrupts absolutely, the truly proud are blind and the absolutely proud are blinded absolutely. This means there will be a few here today who will not see their pride because they are blinded by it. So for those who are not consumed with it, how can we understand the deadly sin of pride? The Bible tells us pride is older than the original fall. When Satan fell, it was because of pride. In Isaiah 14, five times in the heart of Lucifer, he shook his fist in the face of God and said, “I will.” Not Thy will, God, but I will. And the Bible tells us Satan was cast out of God’s presence because of pride. When our first parents first sinned in Genesis 3, it was through a temptation baited with pride. Through the crafty serpent, Satan said, “Get a life Eve, you won’t die if you eat the fruit–you’ll be like God. You’ll not have half-knowledge. You’ll have it all–full knowledge. Eat this forbidden fruit, and it will make you wise. Falling to pride, Eve eats, and Adam willfully joins in. Pride caused the fall of angels, and pride caused the fall of humankind–and pride is still plaguing you and me today. Pride is the most destructive sin of all. How do you see pride? Thomas Aquinus said, “Pride is contempt for God and the refusal to obey Him.” Whenever we traffic in pride, you’ll find a “who are you to rule over me God? don’t tell me what to do” attitude. Throughout the centuries, theologians have called pride the chief of all other sins. It’s always pride which justifies disobedience, rationalizes wrong actions, and excuses rebellion. That’s why God reserves some of His strongest words for condemning the sin of pride. Pride is on the top of His hit list. Follow with me through the Bible, starting in . . .
Proverbs 8:13 “The fear of the Lord is to hate evil; pride and arrogance and the evil way, and the perverted mouth, I hate.” Therefore, if you fear God, you’ll hate pride too. But pride is not always this brash–what makes this sin so deadly is it can be very subtle. Then, you may ask, how can I know objectively whether I am about to stumble because of pride? The answer is to learn from the example of Nebuchadnezzar in Daniel chapter 4—turn there and follow along in your outline. Here the Bible shows us an incredible example of both the brash and subtle sides of pride so we might watch for it in our own lives. This chapter will change you–in it you’ll learn about witnessing through Daniel as he shares with Nebuchadnezzar. You’ll discover what happens when you’re genuinely converted by Nebuchadnezzar’s example of true salvation. You’ll understand how to write a personal testimony, since chapter 4 is Nebuchadnezzar’s personal testimony. You will be humbled by the absolute irresistible sovereignty of God, and you’ll learn how to identify and deal with pride in your life. Poor king–he has a lot of bad dreams. Nebuchadnezzar was so afraid, he was literally dreading what he saw. The Hebrew tells us he was continually terrified by this vision. These words seem to indicate he woke up with a scream, and couldn’t forget what he saw. He couldn’t get this dream out of his head. So what does he do? Starting in verse 6, he again calls his loser wise men, and for the third time, they fail to interpret his dream. You’d think he’d learn, but again pride blinds him from seeing correctly. Finally Nebuchadnezzar calls Daniel for help in verses 8-9. Since Nebuchadnezzar knows the Spirit of the Holy God is in him, Daniel’s witness has been strong enough for Nebuchadnezzar to realize how unique and how great the one true God really is. Look at verse 10, “Now these were the visions in my mind as I lay on my bed: I was looking, and behold, there was a tree in the midst of the earth, and its height was great.” Nebuchadnezzar saw a great tree which grew so large and strong, the whole earth could see it. It was a beautiful tree, with enough fruit to feed everyone, enough shade for all the beasts of the field, and enough branches to rest all the birds of the air. But as he watched, Nebuchadnezzar saw a holy angel descend from heaven and call for the tree to be chopped down, its branches cut off, its foliage stripped, and its fruit scattered, causing the beasts and birds to flee. Then he saw that the stump and roots of this tree were to be left and protected by a band of iron. Notice at the end of verse 15, this tree begins to be called a he, a person. In verse 14, the angel commands–chop down the tree. And why must this be done to the Tree/Man? Verse 17b, “In order that the living may know, that the Most High is ruler over the realm of mankind, and bestows it on whom He wishes, and sets over it the lowliest of men.” The purpose–to clearly establish who is truly in charge. Then Nebuchadnezzar wraps up the dream with this request in verse 18, “’This is the dream which I, King Nebuchadnezzar, have seen. Now you, Belteshazzar, tell me its interpretation, inasmuch as none of the wise men of my kingdom is able to make known to me the interpretation; but you are able, for a spirit of the holy gods is in you.’” Daniel stood out in the midst of a lost society, because of his spirit-filled life. Daniel was literally laid desolate and horrified. (Appalled is the same Hebrew root word used to describe the abomination of desolation.) He wishes the dream were meant for Nebuchadnezzar’s enemies, and not for Nebuchadnezzar himself. Daniel is showing genuine love for Nebuchadnezzar. He has a sincere care for the man he has served for many years. If you want to share Christ with your hard-hearted, unsaved parent or friend, ask the Lord to help you genuinely love them with the love He has already shed abroad in your heart, the way Daniel loves Nebuchadnezzar here. Daniel didn’t want to tell Nebuchadnezzar–he had a heart of love for Nebuchadnezzar, even as he faced a just judgment. We should never talk to anyone about judgment without sadness and compassion. So who’s the tree? Look at verse 22, “It is you, O king; for you have become great and grown strong, and your majesty has become great and reached to the sky and your dominion to the end of the earth.” Imagine how Nebuchadnezzar is racing ahead, realizing the tree is going to become a cow, an animal man. You can imagine how quiet he got, and how he hung on every word that Daniel was about to share. In verses 25 to 26, he tells Nebuchadnezzar, you are going to become an animal king. Like cattle in the field, you’re going to moo, eat grass, get dirty, get a new hairdo, and your fingernails are going to grow. You’re gonna be a “cow king”–an utter catastrophe, a gulla-bull, a nin-cow-poop, a beefer. For seven periods of time (most likely months or seasons), until you recognize the most high God is Lord of all–that only God is in total control. Then in verse 27, Daniel pleads with the king, “Therefore, O king, may my advice be pleasing to you: break away now from your sins by doing righteousness, and from your iniquities by showing mercy to the poor, in case there may be a prolonging of your prosperity.” Daniel stops interpreting and starts confronting. He pleads with the king to repent of his sin of pride, and show it by doing good works and showing mercy to the poor. If you want to share Christ, you need to tell the unbeliever how they can get right with God. They must deal with their sin by faith in Christ. Then genuine saving faith will always make a difference in how they live. But there’s a problem–pride is never easy to talk about. Why? Pride is a heart issue, and it takes on so many forms. Pride is hard to identify, and it’s difficult to admit you have the disease. After going though the Bible, and looking up the references for pride and its many synonyms, listen to how pride is described, and see if you can identify yourself. The obvious forms of pride would be boasting, bragging, the one who walks proud, has a proud look (the cool façade), the phony, the one who thinks of himself first, or the one who thinks only about himself. But the more subtle forms of pride are (now be warned, with the sin of anger, you see it–with the sin of gluttony, it’s going to show) very hard to spot, especially if it’s in you. All of those are subtle forms of pride, but I believe Nebuchadnezzar shows us a pride that was even more subtle, and one I fear we are guilty of. Look at verse 29 to 30, “Twelve months later he was walking on the roof of the royal palace of Babylon. 30 The king reflected and said, ‘Is this not Babylon the great, which I myself have built as a royal residence by the might of my power and for the glory of my majesty?’” I find three very subtle forms of pride, along with his obvious boasting and gloating. How long did Nebuchadnezzar wait? He delayed twelve months–an entire year. Nebuchadnezzar’s subtle pride was delayed obedience. Daniel, God’s prophet, spoke the Word of God to Nebuchadnezzar yet a year later, and Nebuchadnezzar had done nothing. He was waiting to obey. His delay is a form of pride. What about you? When was the last time you heard the Word of God, and immediately, by the power of the Holy Spirit applied it, lived it, stepped out in obedience (not perfectly), but followed through–not just with your head, but your lifestyle? 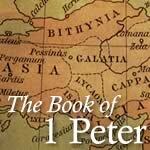 Second Peter 1:3a says, “Seeing that His divine power has granted us everything pertaining to life and godliness.” Everything we need in life, everything we need to live Godly has already been given to us in Jesus. Delayed obedience is always pride, and God hates pride. Give me an example–sure! I’m too busy for ministry, too busy with kids, too busy with work–that means you’re actually saying, “I’m too busy to obey.” If you are too busy to follow Christ, obey Christ and model Christ in service, it means you are proud and disobedient—period. God is against the proud. Nebuchadnezzar knew about Daniel’s God and what kind of God He was, a Holy God. And the Most High God, the Holy God gave His Word through Daniel. Yet Nebuchadnezzar ignored it. Like king Saul, who disregarded the Word of God and kept some of the spoil Samuel told Him to destroy, we all need to be reminded that to obey is better than sacrifice. God wants our obedience more than our worship, our giving, and more than our words. Whenever we say, “I don’t have to obey the Word, because so and so doesn’t . . . Why should I have to do this when they do that? . . . I don’t have to obey since my husband doesn’t . . . No one can live like that–I just can’t . . . Oh, you can make the Bible say whatever you want . . . I give, attend and serve, what more does God want? . . . then we are honoring the Lord with our lips, but not with our lives. To obey is better than sacrifice. Subtle pride is seen every time we willfully disregard the Word of God. Nebuchadnezzar also showed subtle pride by . . .
Don’t forget at this point in the life of Nebuchadnezzar, this is the second dream God gave him and interpreted correctly through Daniel. Also, it was the fourth major supernatural event pointing to the only Sovereign God. In chapter 1, God showed Nebuchadnezzar that God’s servants, Daniel, Shadrach, Meshach and Abed-nego were ten times wiser than all the rest. In chapter 2, God showed Nebuchadnezzar who was in control of the future with the dream and interpretation of the Great Statue. In chapter 3, God showed Nebuchadnezzar who was the only God, by rescuing Shadrach, Meshach, and Abed-nego from the fiery furnace. And now in chapter 4, God warns Nebuchadnezzar of coming judgment through even another dream. Yet Nebuchadnezzar disdained them all. He ignored God’s efforts to get his attention. He continued in sin. He continued in pride. This is the churchgoer who gets convicted from the Word of God, but does nothing. This is the churchgoer who sees they personally need a Savior, but doesn’t cry out. This is the churchgoer who sees they don’t measure up to the Word of God, but does not repent and follow Christ. Could some of this pride be found in you today? Are you making up excuses so you can delay obedience? Are you disregarding any portion of Scripture? Are you disdaining God’s efforts to get your attention? As a so-called Christian, a churchgoer, not very faithful, here and not here . . . are you waiting until you’re terminal before you get right with God? Do you think you live good enough in order to be accepted by God? Why are you postponing submitting to Christ alone. If you are, it’s pride, and God is against you now and will be forever. As a Christian, is there any area where you have willfully stopped obeying the Lord? Is there some truth in God’s Word you have chosen to ignore? Are you not forgiving, not attending, not serving, not giving, not being baptized, not loving others, not compassionate? Are you running from the Lord, hoping He’ll stop chasing you? Are you acting self-sufficient, telling yourself, “I’m okay,” when you have obvious disobedience in attitude or speech? If so, it’s pride. God hates it, and calls you to repent. But you ask, “Why did God wait twelve months?” He is a gracious, loving, and merciful God. He puts up with a lot from me, and probably from you too. When growing up, if you had a little sister or brother, just multiply that experience by millions and you’ll know what God puts up with every day from His creation. So how did Nebuchadnezzar respond to Daniel’s plea? Read verse 30, one year later . . . “The king reflected and said, ‘Is this not Babylon the great, which I myself have built as a royal residence by the might of my power and for the glory of my majesty?’” After reading this you think, how could one man be so proud? This isn’t anything new–Mussolini, the fascist leader of Italy during WWII said, “I worship no God. Save my own sovereign will.” This came out of the mouth of a man who had memorized all of Matthew, Mark and Luke. He knew the Scripture, but was incredibly proud. Remember Herod in Acts 12:23, who was told he sounded like the voice of a god–Herod embraced it, didn’t give glory to God, so God judged him, and he was eaten up with worms–not sure what that is, but it’s gross. So Nebuchadnezzar’s statement was not unique. Yet the thing that makes Nebuchadnezzar’s statement real to us is to realize how great Babylon truly was. Nebuchadnezzar was not foolishly magnifying some insignificant shanty town into a fine city. Humanly speaking, he was warranted in considering his capital “great Babylon.” It is well-known that Babylon was “the largest and most powerful city of antiquity.” The city was 11 to 15 miles in a rectangle. There were wide streets, strong fortifications and numerous public buildings. There was still sufficient land left for farming and pasture to supply the needs of all the inhabitants. The population was apparently about 1.2 million. The city was surrounded by a deep, wide moat filled with water, next to which was a wall 84 to 87 feet wide, and 300 to 350 feet tall. The top of the wall was wide enough for four chariots to be driven abreast. There were streets bisecting the city, and running to the twelve gates. The river Euphrates ran through the city, but there were tall levees on either side to prevent it from damaging things when it was at flood stage. In addition, there were canals to carry excess water to the Tigris River. Babylon contained two of the seven wonders of the ancient world–the high wall and the “hanging gardens.” The gardens were built by Nebuchadnezzar to please his wife Amytis, who wearied of the level country and pined for the wooded hills of her native land, Media. Actually the “hanging gardens” were a man-made hill, 400 feet in length on each side, and rising to a height of 350 feet. Amytis was able to climb to the top by means of a ten-foot-wide staircase. There was terrace after terrace, and from a distance it looked like “woods overhanging mountains.” Mighty engines raised water from the Euphrates to care for the gardens. Attached to the hanging gardens was a magnificent palace of unequaled size and splendor. The outer wall of this palace was no less than six miles in circumference–all its gates were of brass. The interior decorations were beautiful and included a multitude of wonderful statues, both of human beings and animals. For eating and drinking, there were numerous beautiful vessels of gold and silver, and indeed every article for luxurious living which the known world could supply. After this description, one writer says, “If Nebuchadnezzar was condemned by God for proudly boasting of such an achievement surely this should be a warning to the rest of mortals that the greatest things there can accomplish in a worldly way are but paltry and transitory and afford little reason for pride.” Humanly speaking, Nebuchadnezzar could be proud of such a city. But Nebuchadnezzar meant his statement in arrogance. He was claiming absolute lordship and control, he was assigning a divine attribute to himself, and true lordship belongs to only one. Look at verse 31, “While the word was in the king’s mouth, a voice came from heaven, saying, ‘King Nebuchadnezzar, to you it is declared: sovereignty has been removed from you.’” When God judges, He comes down with a hammer. You may be a non-Christian here this morning, and in reality having the time of your life “sinning”. You may be a Christian who looks at those enjoying the pleasures of sin, and are tempted to think, “That just isn’t fair–where is the justice, God?” Remember, it’s coming. God may appear to be slow at times, but when justice comes, it will be sudden, certain, deserved and final. Like Howard Hughes–in his final years, he let his finger nails grow, he wouldn’t touch anything without a tissue, and mentally he lost his mind. For Nebuchadnezzar, it was seven months or seasons or years. For us, it’ll be as long as it takes, and whatever it takes. Whether making your life like a cow, an auto accident, the death of a family member, an illness, cancer, depression, bad circumstances, rejection, financial crisis, a marriage crisis, or just a felt distance between you and the Lord–God will do what He must to deal with your pride and get close to you, because pride blocks and clouds that intimacy. God says He is opposed to and battling with the proud person. So is this where the story ends? Here is the focal point of the entire first half of the book of Daniel. The theme of chapters 1 to 7–God is in control, and these first seven chapters are designed to point to this section, verses 36 and 37. Do you remember the parallelism (called Chiastic parallelism)? Chapters 2 and 7 point to four coming world empires, chapters 3 and 6 describe God’s protection of the Jewish remnant, chapters 4 and 5 then point to judgment upon the Gentiles. All of this climaxes to the end of chapter 4. All of this points to these verses–God’s control is summarized as He humbles Nebuchadnezzar. Look at verses 36 to 37, “At that time my reason returned to me. And my majesty and splendor were restored to me for the glory of my kingdom, and my counselors and my nobles began seeking me out; so I was reestablished in my sovereignty, and surpassing greatness was added to me. 37 Now I Nebuchadnezzar praise, exalt, and honor the King of heaven, for all His works are true and His ways just, and He is able to humble those who walk in pride.” God is able to humble anyone who lives in pride. What can we learn from this personal testimony? Allow God’s Word to speak to your heart. I don’t know your heart, but God does. And if you’re proud today, you’re courting a cold-blooded spiritual killer. Never forget . . . There is nothing God hates more than pride. James 4:6 says, “God is opposed to the proud.” Paul, a pastor friend who disqualified himself by immorality, showed me this verse and said to me, “Chris, I was proud and God was against me, so I fell.” When you’re proud, God is against you–you’re swimming upstream, and you’ll eventually drown. You are fighting the riptide, and you are going to die. When you’re proud, you’re not the friend of God, but you’re acting like his enemy. You are a traitor to His glory. He is able to crush and humble anyone. Remember Nebuchadnezzar’s last statement in verse 37, “He is able to humble those who walk in pride.” When do you see great humility? It comes from those who were proudly successful, who now have been humbly broken and crushed. Remember who you are. Our very next breath is genuinely dependent upon the grace of God. There is no person so high that God cannot reduce them to nothing (a frightening thought). Great parents–be careful of being smug or taking credit. Great marriage–give glory to God for His grace. Great income–thank God for His provision. Great church–honor Him alone for what He has done. Do you want to be a useful tool in the Savior’s hand? Do you want His smile, His favor, His power, His affirmation (“Well done”)–then humble yourself under His mighty hand. At junior camp, we’d have the kids sit all around their counselor so they could touch anyone of them at any time. They would squeeze their shoulder and get one of two reactions–a shrug it off, or a humble submit. Right now, God is squeezing some of you–are you fighting Him, or responding with a heart of submission? Why is this so important? Pride results in some serious consequences–pride means discipline for the Christian, and judgment for the non-Christian. In order to be genuinely saved, you had to come to an end of yourself, and depend on Christ with dependent humility. You give all that you are for all that He is. If you didn’t come to Christ in humility, you’re not saved. And Christian, in order to be truly growing in Christ, you have to depend upon the Word of God and the Spirit of God in dependent humility every day. If you don’t walk with Christ in humility, you’ll not be sanctified.